How agile are you to change? This NEW workshop will provide you with the necessary skills to be successful both personally and professionally in the ever changing world of lab animal medicine. This one-day intensive Leadership Training session for Managers/Supervisors/Directors will be a career game changer. Qualifies for 8 CEUs. 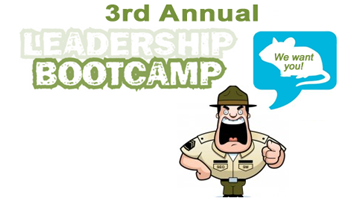 PLEASE NOTE: You do NOT need to have attended Leadership Boot Camp #1 or #2 to attend this session. In addition to the Leadership Boot Camp III, LAMA in collaboration with AALAS will offer the CMAR examinations. If you are in need of a proctor to take the paper based AR exam or any of the 3 web based CM exams, please reach out to: Nancy.Dorcy@AALAS.org to ensure your CMAR application is up to date and you qualify to test. LAMA will reach out to you and confirm your test date / location while at the LAMA/ATA conference.